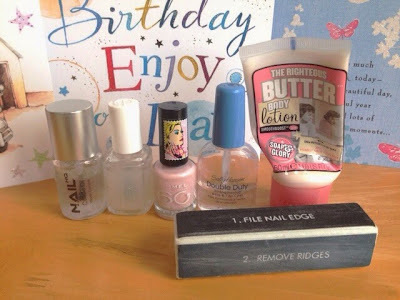 Hi guys, today I thought I would show you how I do my 'stay at home manicure'. Like many girls, I really enjoy painting my nails and when I get the chance to, I wait until the evening when I know I can be certain of having my hands free! Now, I am by no means claiming to be any sort of professional manicurist! haha! But like I always say, I know what works for me and these products work well with the problems my nails often encounter! The first thing I always do is moisturise my hands and a couple of hours before painting, I also file my nails if they need doing. Then I apply my cuticle oil to help keep my nails moisturised and happy. Nail polish does have long term drying effects on your nails and so it's important to counter that by keeping them as hydrated as possible! (Note to self: drink more water!) 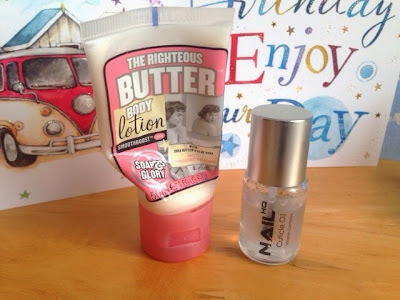 I flit between hand lotions all the time, but I'm currently really enjoying Soap & Glory's The Righteous Butter Body lotion. I picked up a small travel sized one that's perfect for fitting into my handbag. 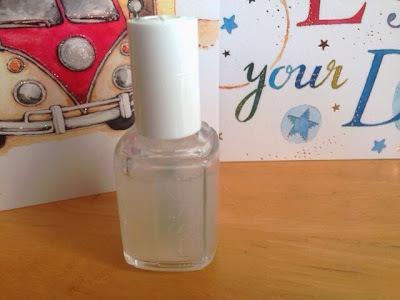 The cuticle oil I'm using is by Nail HQ, I think I picked this up in Tesco a few months ago. I use this before painting my nails and on the days where my nails are not painted. For my base coat I've been using Essie's Help Me Grow base coat which I really like. It dries clear and looks great just on its own but it also makes a lovely base coat for coloured polish. When the base is dry I apply my nail varnish. Today's is from Rita Ora's collection for Rimmel. 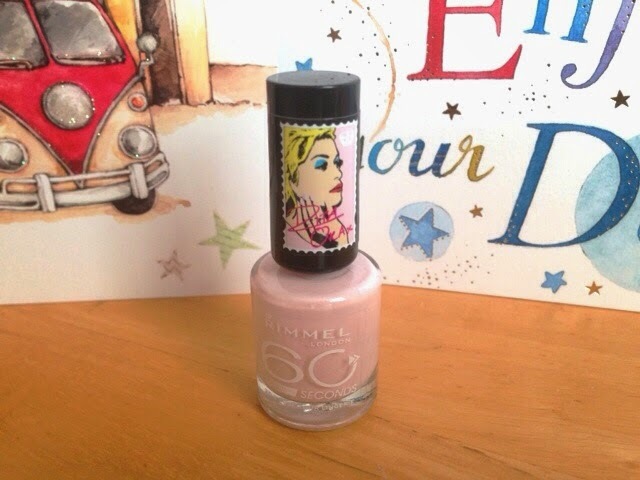 It's a beautiful baby pink colour, perfect for spring! I've applied two coats for a more even finish. 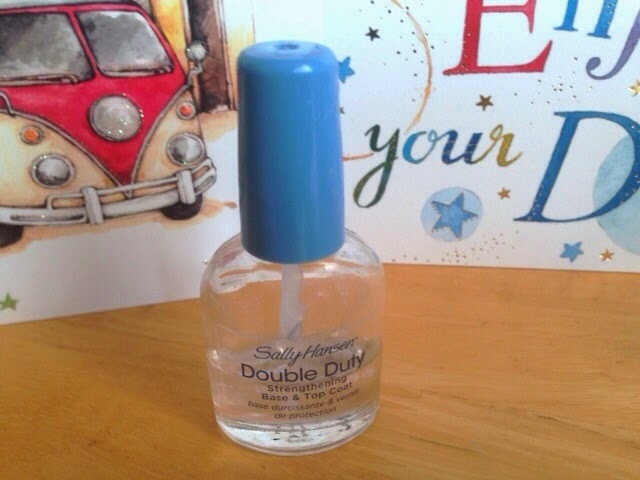 To finish, I apply my Sally Hansen Double Duty base and top coat. This really helps to hold the nail polish in place and keep it chip free!